For carrying out section 301 and title IV of the PHS Act with respect to drug abuse, $1,137,403,000. Drug use trends continue to evolve, with powerful synthetic opioids such as fentanyl and its analogues (including carfentanil) claiming increasing numbers of lives; a recent rise in fatalities associated with cocaine use, possibly reflecting increased availability as well as its being laced with fentanyl; the emergence of new synthetic drugs; new delivery systems such as e-cigarettes and vaporizers rapidly changing how people use drugs; and evolving state laws related to marijuana. 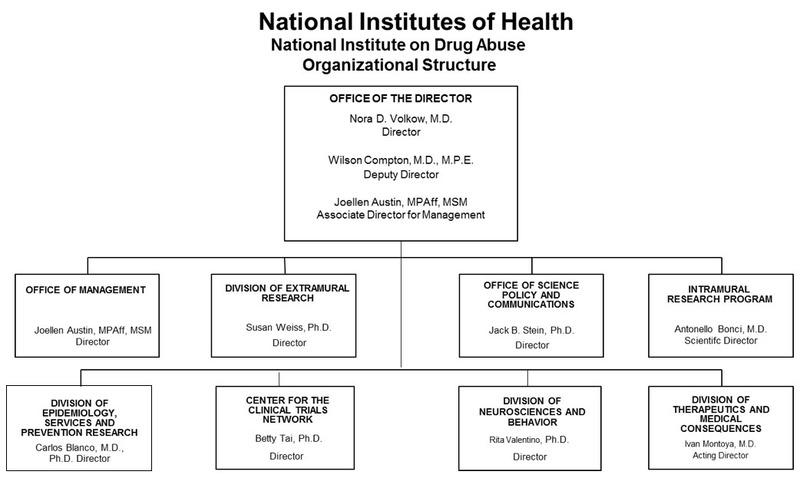 The National Institute on Drug Abuse (NIDA) strives to meet these challenges by strategically supporting and conducting research on drug use, its consequences, and the neurobiological and behavioral mechanisms underlying addiction. In addition, NIDA works closely with federal and community partners to support the effective translation and implementation of scientific research findings to improve the prevention and treatment of SUDs. With the complexity and scale of the opioid crisis, no one organization can solve it alone. Effective partnerships are critical for accelerating progress to prevent and treat OUDs and overdose deaths. NIH is establishing a new public-private partnership to advance two major areas: (1) new and innovative medications and biologics to treat opioid addiction and for overdose prevention and reversal (see program portrait), and (2) safe, effective, non-addictive strategies to manage chronic pain. Existing partnerships with industry are helping bring products to the market to treat opioid addiction, overdose, and withdrawal. For example, a partnership with Pfizer is exploring a novel medication that modulates the activity of endocannabinoids – an excitatory neurotransmitter – to treat drug addiction. Another example is the partnership with Lightlake Pharmaceuticals and Adapt Pharma that led to the successful development of Nasal Narcan®, the only FDA approved intranasal naloxone product to treat opioid overdose. Further, US World Meds, funded in part through NIDA grants, submitted a New Drug Application to the FDA seeking approval of Lofexidine for the treatment of opioid withdrawal symptoms. NIDA has partnered with several other federal agencies to address the opioid crisis in rural United State regions, issuing funding opportunities to help communities develop ways to comprehensively prevent and treat SUD, overdoses, and infectious disease transmission related to injection drug use. These projects support the work of state and local communities in developing best-practice responses that rural public health systems can implement. The grants are co-funded by the Appalachian Regional Commission, the Centers for Disease Control and Prevention (CDC), and the Substance Abuse and Mental Health Services Administration (SAMHSA). The NIDA Clinical Trials Network (CTN) is a collaborative partnership with clinicians, researchers, and participating patients that cooperatively develops, tests, and delivers new treatment options to patients with SUD including opioid addiction. The CTN studies behavioral, pharmacological, and integrated treatment interventions in rigorous, multisite clinical trials across a network of community-based treatment settings. Current CTN-funded trials include studies on the impact of Implementation Facilitation on provision of buprenorphine in emergency departments, engagement of pharmacists for prescribing and monitoring buprenorphine to patients with an OUD, detection of cocaine use via heart-rate data captured by smartwatches, and the effectiveness of a combination pharmacotherapy regimen to treat methamphetamine use disorder, among others. Validated treatment strategies for SUDs have great potential to improve public health. However, this impact has been limited by the inconsistent use of evidence-based interventions in real-world settings—the “evidence-to-practice gap.” NIDA supports research on how evidence-based interventions are implemented and sustained at the community level, as well as impediments to implementation, with the goal of developing empirically supported strategies for increasing their positive impact on health. For example, NIDA’s juvenile justice-focused JJ Trials initiative is testing strategies for implementing drug use and HIV-related prevention and treatment into criminal justice settings. Drug use and addiction are mediated by many biological, environmental, social, and developmental factors. A more detailed understanding of how these factors interact and contribute to risk is critical for developing better prevention and treatment strategies. NIDA supports a robust portfolio of basic research to understand the mechanisms that underlie the transition from drug use to addiction. Understanding the neurobiological mechanisms that underlie addiction requires a new generation of tools to study brain structure and function in much greater detail than has been possible in the past. NIDA contributes to the NIH Brain Research through Advancing Innovative Neurotechnologies (BRAIN) initiative, which will accelerate technology development at the intersections of nanoscience, imaging, engineering, informatics, and other emerging fields of science to achieve this goal. NIDA is also partnering with other NIH institutes, centers, and offices on the Adolescent Brain and Cognitive Development (ABCD) study, the largest long-term study of brain development and child health in the United States. Approximately 10,000 children ages 9-10 will be studied at 21 research centers across the country; they will be followed into early adulthood with brain-imaging, genetic, neuropsychological, behavioral, and other health assessments. This study will greatly add to our understanding of how drug use can disrupt or enhance a young person’s life trajectory. As of October 2017, more than 5,000 participants have enrolled in the study. Finally, new molecular imaging technologies like x-ray crystallography are revealing, in unprecedented detail, the physical structure of receptor molecules that mediate drug effects. This knowledge is already leading to the development of safer medications to treat pain. Basic and Clinical Neuroscience: The Division of Neuroscience and Behavior (DNB) seeks to expand our understanding of the fundamental neurological, genetic/epigenetic, and behavioral processes that underlie SUDs. Central to this goal are efforts to delineate the multiple neurobiological factors that contribute to drug use and addiction risk, with particular emphasis on individual differences in vulnerability and drug sensitivity. NIDA is supporting research to develop advanced technologies that improve our ability to study the organization of the living brain from cells to networks and elucidate the interactions of complex neural circuits and how they encode reward, craving, compulsive behavior, and related decision making that drive substance use. Ongoing pharmacological research is developing and testing new compounds that target the neurobiological factors that underlie addiction, as is research on the development of novel non-pharmacological strategies such as transcranial magnetic stimulation (TMS), transcranial direct current stimulation (tDCS), deep brain stimulation (DBS), and neurofeedback. Other key projects, including the landmark Adolescent Brain Cognitive Development (ABCD) Study,5 are investigating the effects of drugs on gene expression and brain development and function; how an individual’s genes interact with environmental conditions, such as stress and early exposure to drugs, to influence risk for addiction; basic processes underlying resilience against SUDs in childhood and adolescence; and gender-related differences in these effects. NIDA also supports research on the interactions between HIV infection and addiction to understand how this comorbidity influences outcomes for both illnesses. Finally, NIDA is working to support big data science to promote efficient analysis of large, diverse data sets on a scale not previously possible. Collectively, this research will provide new perspectives on the effects of drugs on multiple biological systems and improve our understanding of the basic neural and genetic mechanisms that underlie drug use and addiction, thus guiding the development of novel therapies for treating addiction. Epidemiology, Services, and Prevention Research: NIDA’s Division of Epidemiology, Services, and Prevention Research (DESPR) supports integrated approaches to understanding and developing strategies to address the interactions between individuals and environments that contribute to drug use, addiction, and related health problems. 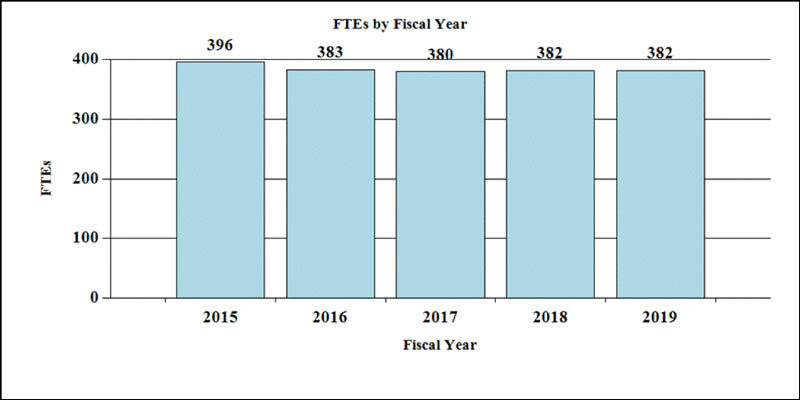 The Division supports the annual Monitoring the Future survey, which tracks drug use and related attitudes among adolescent students nationwide, and the National Drug Early Warning System (NDEWS), a surveillance network that monitors emerging trends related to illicit drug use around the country so that rapid, informed, and effective public health responses can be developed and implemented when and where they are needed. DESPR also supports research on integrating prevention and treatment services into healthcare and community systems to reduce the burden of drug problems across the lifespan. For example, ongoing research is exploring SUD treatment in the criminal justice system, including studies on implementation of medication-assisted treatment (MAT) and seek, test, treat, and retain (STTR) strategies for people with SUDs who are also at risk for HIV. NIDA also funds research into the efficacy of screening brief intervention and referral to treatment (SBIRT) in primary care settings for reducing drug use and SUD. Program efforts also focus on research to optimize implementation of evidence-based prevention interventions and treatment services in real-world settings. For instance, NIDA is funding researchers to partner with states as they use the State Targeted Response funding from the 21st Century Cures Act to test approaches for expanding access to MAT for opioid use disorder and naloxone for the reversal of overdose. Therapeutics and Medical Consequences: NIDA’s Division of Therapeutics and Medical Consequences is focused on developing therapeutics for the treatment of SUDs. Since the pharmaceutical industry has traditionally made limited investment in the development of medications to treat SUDs, the responsibility for supporting their development has rested largely with NIDA. To most effectively leverage NIDA resources, this program encourages the formation of alliances between strategic partners (pharmaceutical and biotechnology companies, as well as academic institutions) with the common goal of advancing medications through the development pipeline toward FDA approval in a timely manner. NIDA conducts research to decrease the risks associated with medications development to make it more feasible for pharmaceutical companies to complete costly phase IIb and III clinical studies. Preclinical studies with this class of molecule indicate they could be effective for treating cannabis use disorders and possibly sleep and anxiety disorders, which are highly common in individuals with substance use disorders. NIDA also invests in research supporting the development of vaccines and monoclonal antibodies for the treatment of SUDs; an ongoing collaboration with Selecta Biosciences is working to develop a novel nicotine vaccine and another with InterveXion Therapeutics is working to develop a monoclonal antibody to treat methamphetamine addiction, both of which are now being evaluated in clinical trials. Clinical Trials Network (CTN): The CTN comprises 13 research nodes with 25 principal investigators affiliated with academic medical centers and large health care networks, two research coordinating centers, and more than 240 community anchored treatment programs and/or medical settings in over 40 States plus the District of Columbia and Puerto Rico. The overarching mission of the CTN is to improve the effectiveness of, and accelerate the adoption of, evidence-based SUD prevention and treatment interventions. The network evaluates interventions, implementation strategies, and health system approaches to addressing SUDs and related disorders, such as co-occurring mental health disorders and HIV, in randomized controlled trials (RCTs) and other clinical studies that are conducted in diverse treatment settings and patient populations. The CTN is conducting four studies to evaluate strategies for integrating OUD screening and treatment interventions into routine practice in emergency departments, primary care clinics, HIV primary care clinics, and community pharmacies. Another pilot study is developing and testing a clinical decision support (CDS) tool to treat opioid use disorder for use in electronic health record (EHR) systems. Additional studies are investigating the effectiveness and safety of a combination pharmacotherapy for treatment of methamphetamine use disorder. The CTN has also undertaken a multi-pronged initiative to develop effective methods for using the big healthcare data generated via EHRs to speed the pace and reduce the costs of SUD RCTs and to improve clinical care for SUDs. These efforts include developing a pilot patient registry to follow outcomes for opioid use disorder patients longitudinally; investigating patient- and system-level factors associated with quality measurement across health systems; and exploring methods for capturing health and behavioral data from mobile technology and linking those data to EHRs to facilitate monitoring and longitudinal follow-up of hard-to-reach patient populations. Various subprojects will focus on different parts of the continuum. Screening, prevention, and treatment capacity will be expanded in primary and prenatal care settings. Best practices for initiating medications in the emergency department will be explored. Naloxone, an opioid overdose reversal medication, will be distributed through multiple channels. A public awareness campaign and providers training for treating patients with pain and OUD are foundational to these efforts. A State-wide “Hub and Spoke” Model of Care. Test the feasibility and effects of implementing this evidence-based care system currently operating in other states such as Vermont and Washington State. Pharmacy engagement in a Comprehensive State Care Model. Evaluate the process and effects of incorporating pharmacies into the care continuum to increase access to naloxone for overdose reversal and MAT to help sustain patients in care. The Safe Station Model by Fire Departments. Evaluate outcomes and active ingredients of this community-based strategy by local fire departments to link people in need to MAT and ancillary services. Intramural Research Program (IRP): In addition to funding extramural scientists, NIDA also conducts research in high priority areas through our IRP. Intramural research at NIDA focuses on conducting multidisciplinary cutting-edge research to: 1) elucidate the underlying causes of addiction; 2) evaluate the potential of emerging new therapies for SUDs, including pharmacological and non-pharmacological (e.g. psychosocial, biofeedback, brain stimulation technologies); and 3) evaluate the long-term consequences of drug use on health, with particular emphasis on the brain and its development. For example, the IRP is collaborating with pharmaceutical industry partners to study a potential medication that can decrease methamphetamine craving and collaborating with researchers in Italy to study the efficacy of TMS for treatment of cocaine use disorders. In addition, the IRP is working to understand and develop interventions to reverse the impact of deficits in the prefrontal cortex caused by cocaine and heroin use. The IRP is also working to develop clinically useful indicators (biomarkers) of addiction severity or treatment efficacy that will support the development of more effective treatments. IRP scientists are also working to better understand factors that contribute to cravings and relapse. Researchers are developing interventions that might be used in humans to selectively impair harmful addiction memories. The IRP is also planning a large translational study of a novel medication, with promising results in animal studies, to treat opioid use disorder and compare the efficacy with buprenorphine. In addition, IRP scientists are developing a mobile health toolbox to collect data on the daily-life reality of addiction with the goal of developing tools that can predict relapse and deliver help just when a person needs it. Research Management and Support (RMS): RMS activities provide administrative, budgetary, logistical, and scientific support in the review, award, and monitoring of research grants, training awards, and research and development contracts. Additionally, the functions of RMS encompass strategic planning, coordination, and evaluation of NIDA’s programs, regulatory compliance, international coordination, and liaison with other Federal agencies, Congress, and the public. NIDA currently oversees more than 1,600 research grants and more than 80 research and development contracts. NIDA also provides evidence-based resources and educational materials about SUDs and to raise awareness of the science relating to cutting-edge issues such as opioid overdose prevention, marijuana research, synthetic drug trends and MAT. NIDA is also committed to supporting the next generation of innovative researchers by funding training for pre-doctoral and postdoctoral-level scientists interested in drug use and addiction research. These efforts focus on increasing the number of underrepresented scholars and researchers, including women and minorities, who are actively participating in addiction research. Opioid misuse and addiction is an ongoing and rapidly evolving public health crisis. Millions of Americans suffer from opioid use disorder, and millions more suffer from chronic pain. The urgency and scale of this crisis calls for innovative scientific solutions. As part of a government-wide effort to address this crisis, the NIH is planning to supplement existing research efforts with a public-private collaborative research initiative to develop new, safe, and effective strategies to prevent and treat pain, opioid use disorder, and overdose in half the time it currently takes. In collaboration with the Food and Drug Administration (FDA), NIH is moving forward with establishing public-private partnerships to address the opioid crisis facing the Nation. Three major areas for advancement have been targeted: (1) safe, more effective, and non-addictive strategies for chronic pain management to improve pain care and reduce reliance on opioids; (2) new and innovative opioid addiction treatments and overdose reversal interventions to promote access to treatment and reduce mortality. To identify the scientific strategies with the greatest potential for solutions to the opioid crisis, NIH brought together innovative experts from government, industry, and academia for a series of three cutting-edge science meetings in 2017. The meetings explored how to accelerate our understanding of the neurological mechanisms of pain; the development of safe, effective, non-addictive pain treatments; and medications development to treat opioid use disorders and for overdose prevention and reversal. Developing new treatments for opioid use disorder – such as extended release formulations of existing medications used to treat OUD (methadone, buprenorphine, and naltrexone) and alternative therapeutics including vaccines and antibodies. Overdose prevention and reversal – such as stronger formulation of naloxone to reverse overdose from powerful synthetic opioids like fentanyl and carfentanil, and devices to detect and reverse overdose (i.e. naloxone autoinjectors). 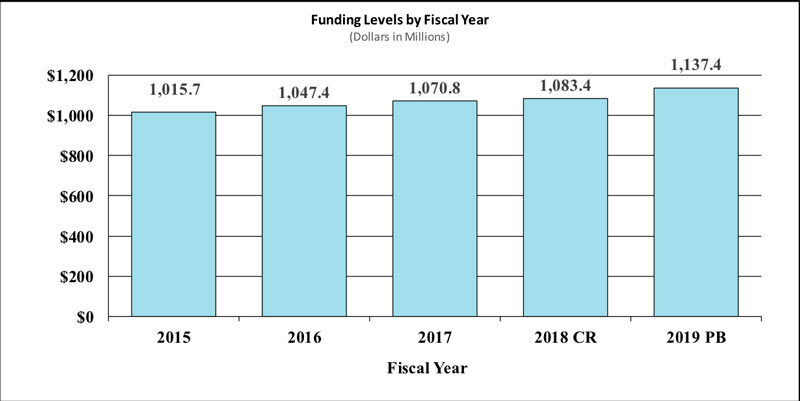 Download the full 2019 Fiscal Year Budget (PDF, 1MB). National Survey on Drug Use and Health, 2016. SAMHSA. Patrick, S. W. et al. Journal of Perinatology (2015) 35, 650–655.